As Android users you may face some problems on your Oppo Neo 7 such as bootloop, stuck on logo, forget the password, or the failure when rooting or installing application. You may still use hard reset to fix these problems but for some reasons you have to decide flash your Oppo neo 7 because that is the only way to do. Bootloop is a matter when Oppo Neo 7 can not enter the phone's main menu, when we try to turn Oppo Neo 7, we will only look the logo on Oppo Neo 7 or Android logo, without being able to access the main menu Oppo Neo 7, in addition to reinstall we can also fix it first with resetting Oppo Neo 7, it means that we return Oppo Neo 7 regulatory beginning of the factory, and sometimes this does not work and we have to flash Oppo Neo 7. Download Oppo Neo 7's firmware. Download and enter the firmware file to the Micro SD card. The battery must be 50 % or more. 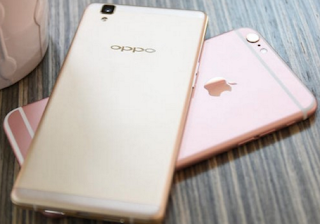 Insert the micro SD card on your Oppo Neo 7. Turn off your Oppo Neo 7 and it means we go into recovery mode. Press the volume down and power button at the same time. Select "Apply from SD Card". Next, we are in the Android System Recovery. Select Wape Data / Factory Reset. Select Cache partition, please wait until it is completed. And select Install zip from SD Card, and please select rom or firmware already earlier you get. please wait for it until finish. That's all article about How to Reinstall the Oppo Neo 7 bootloop easily, we hope you and anyone who needs an article to flash Oppo Neo 7 can be helped. 2 Tanggapan untuk "Flash Oppo Neo 7 Bootloop or Stuck On Logo Without PC 100% Works"
Made and bought in INDIA. status:bricked . when powering on can see only graphical oppo logo. cant find built-in recovery OS zip file . i forgot to put one in the phone before rooting. recovery mode . SD card not detecting. (Read it online that it supports only V_GEN brand SD cards in recovery mode.) Data and cache not wiping. 1. with oppo driver . 2. internal storage but in accessible. IF possible i would like to access the data and take backup. ELSE i would just like to get the phone back in working condition. That means your Phone isn't just need to be flashed, you got not only one trouble, man. Or it may your SD card is also damaged. Something you need to to do is finding the article related to "Back up data, Fix SD card, and Flashing OPPO Neo 7", But unfortunately our article isn't that complete. So you can find it in the other blogs. Hope your phone can back in working condition... Thanks for leaving comment.